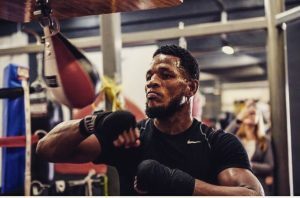 Sullivan Barrera is well aware of the implications of his upcoming fight Saturday evening against Sean Monaghan at the Aviator Sports Complex in Brooklyn, New York. Barrera’s boxing future is on the line and a win could catapult him to a shot at a title. If Barrera can defeat Monaghan, Duva would have a way to command the light-heavyweight division A realistic possibility exists where Barrera could meet WBC light-heavyweight title contender Adonis Stevenson or Oleksandr Gvozdyk. However, this all depends on what Barrera brings to the ring. In March, Barrera fought WBA Light-Heavyweight Champ Dmitry Bivol and took him to the limit before being stopped in the 12th round. Barrera ran out of gas that night and Bivol took full advantage. Barrera said it was not his night when he fought Bivol and would dearly like a rematch. In truth, Bivol was the better fighter than night. Duva has a history of promoting rematches. If you’re old enough, you can recall the epic wars with Arturo Gatti and Micky Ward on the Boardwalk in Atlantic City. Duva said that the winner of Barrera/Monaghan can possibly face Bivol. That would make for good business but former champion Sergey Kovalev. “We have a really exciting division here,” she said. “Everything is up for grabs. Adonis Stevenson. We have a lot going on. Adonis is in a very dangerous fight on December 1st against Gvozdyk who is a terrific young fighter. This is not one more fight because of what’s at stake for Barrera’s career. Monaghan was born and raised a few miles away from the Aviator Complex, so he’ll have a home advantage in a loud, makeshift Aviator arena that was once the home of a United States Air Force base. Derik Santos, who is Barrera’s trainer, said, “Every fight, it’s the same amount of pressure to do well and win. There’s the same amount of danger. When you are a professional, you handle it.” Barrera will feel the “pressure” for what’s on the line and there will be no room for error. The task is simple. Win the fight and get the chance for a rematch with Bivol. For the 36-year old boxer, it could be his last chance.